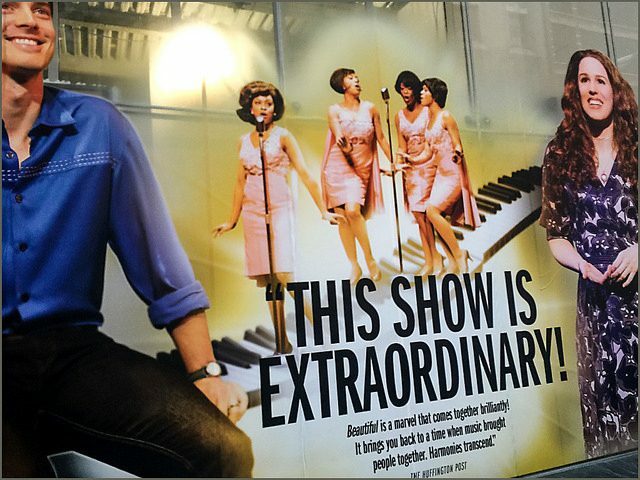 Beautiful – The Carole King Musical plays a bit like a jukebox of mammoth hits. ‘(You Make Me Feel Like) A Natural Woman,’ ‘Some Kind Of Wonderful,’ ‘So Far Away’ and so many other songs take center stage alongside Jessie Mueller as the lead. Mueller is no greenhorn to Broadway, and it is immediately evident in her performance as Carole King. She can expertly emote King’s humble, warm attitude that has just the softest touch of insecurity. Her voice transforms King’s most famous songs into something fresh and altogether wonderful. The performance is showing at the Stephen Sondheim Theatre, NYC.